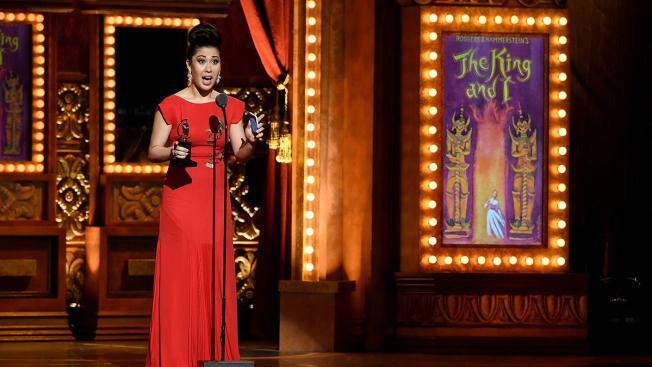 The Tony award-winning Broadway actress, whose daughter was mowed down and killed in a Brooklyn crosswalk, has lost the baby she was carrying at the time of the crash, according to her lawyer. Ruthie Ann Miles and her husband Jonathan Blumenstein were expecting a baby girl this month. Miles was walking with her friend and their two young children in Park Slope on March 5 when a 44-year-old woman blew through a red light and plowed into the group, killing both children — Miles’ 4-year-old daughter, Abigail, and the friend's 1-year-old son, Joshua. Dorothy Bruns, the driver that blew through the red light into the group, was indicted in connection with the case. Bruns was arrested at her Staten Island home May 3 on a 10-count indictment charging her with manslaughter, criminally negligent homicide, assault and other crimes in the violent March 5 crash at Ninth Street and Fifth Avenue that killed 4-year-old Abigail Blumenstein and 1-year-old Joshua Lew. Though Rubinowitz said it would be up to the district attorney to decide, according to the state statute, prosecutors might not be able to pursue additional charges in the case because state laws regarding homicide apply after a baby is born. Bruns had run through a red light just before slamming into the children, the pregnant Miles (given name Ruthie Ann Blumenstein) and Joshua's mother, Lauren Lew, in the crosswalk. All four were found on the pavement with varying degrees of injuries. Cops later learned a fifth pedestrian, a 46-year-old man, had also been hit and had been taken to the hospital in stable condition. Bruns told police at the time she had medical issues -- and though her license had been suspended she had not been criminally charged in the case until now. Prosecutors said Thursday that she had in fact suffered a seizure at the time of the collision, and had been driving in direct defiance of a doctor's orders following a hospitalization less than two months prior. That hospitalization stemmed from yet another car crash -- that time into a parked vehicle.